"The big steam train goes, CHUGGA chugga chugga CHUGGA chugga chugga CHOO CHOOOOOOO!" The diesel train goes, "zooosh zooosh ZOOOOOOOOSH ding ding ding!" The American goes, "clang clang clang TOOT TOOT!" All aboard! 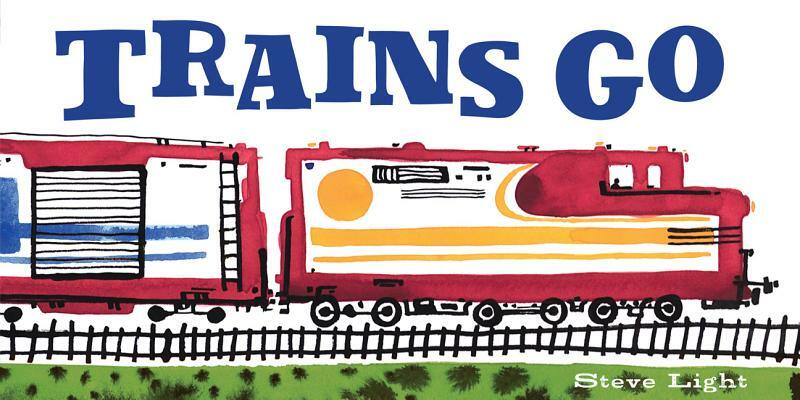 Take a trip on eight noisy trains as they huff, puff, and toot-toot their way through this lively board book! Perfect for the young train enthusiast. Steve Light is a teacher and storyteller. He lives in New York City.